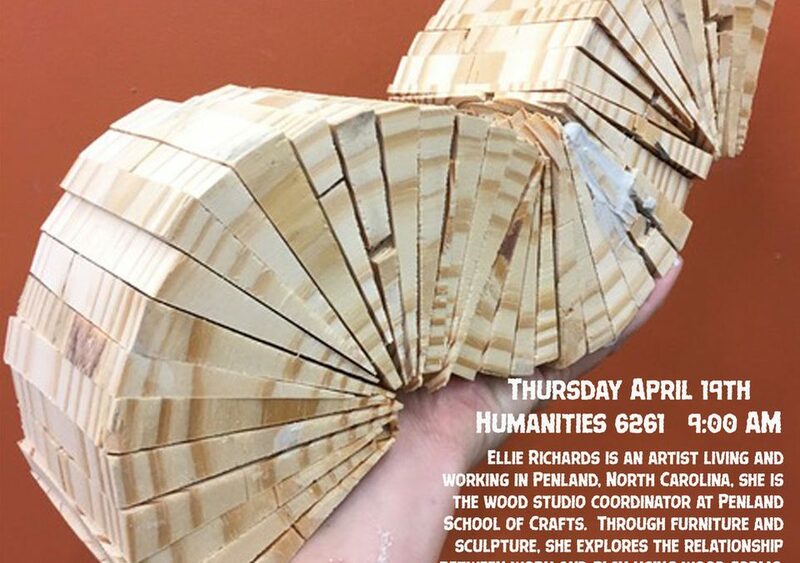 Ellie Richards is an artist living and working in Penland, North Carolina where she is the wood studio coordinator at Penland School of Crafts. Through furniture and sculpture, she explores the relationship between work and play using wood forms, found materials, and paint. Following an MFA from Arizona State University, Ellie pursued residencies at art centers and craft schools in the U.S.. This year she traveled to west Africa to study Ghanaian woodworking techniques with support from the research grant provided by the World Wood Organization.